The future of Windows involves more connectivity between PCs, phones, and other devices. Microsoft has pulled back the curtain on future Windows features, publishing an official roadmap on its website. As of now, the roadmap includes several features that Microsoft didn’t announce as part of the Windows 10 “Anniversary Update” coming this summer. Many of those features focus on greater connectivity between phones, PCs and other devices, and while the roadmap is ostensibly for businesses, there are plenty of noteworthy nuggets for consumers as well. 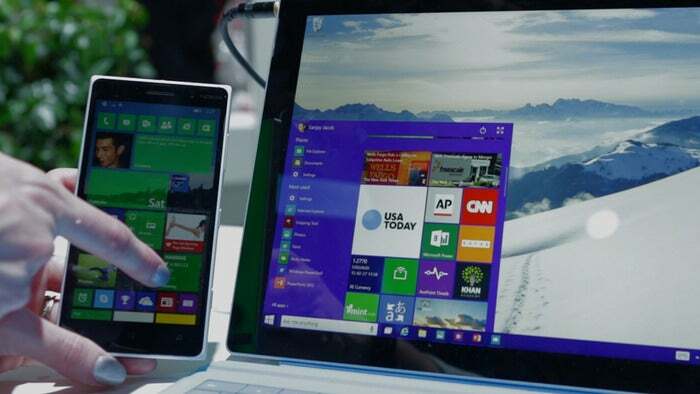 Windows and Android phones will be able to unlock and authenticate apps on a Windows PC. “Companion devices” such as Microsoft Band 2 will be able to unlock a Windows PC. Connecting a Windows phone to an external touch monitor through Continuum will allow for touch controls on the large display. Windows PCs will be able to cast their displays to other Windows PCs. Microsoft Edge will get notification support from sites like Facebook, even when the browser is not in use. Cortana notifications will show up in the Action Center. Windows apps will get a picture-in-picture mode. Keep in mind that these plans can change. To that end, Microsoft’s roadmap also includes a section for canceled features, though it’s currently unpopulated. As for timing, Microsoft isn’t making any promises, and has not yet started testing any of the above features in its Windows Insider builds. Why this matters: Software makers tend not to talk about features that they’re still developing and could end up cancelling, but with Windows 10 Microsoft has tried to be more transparent and open to feedback. Providing a glimpse at far-out features could help businesses plan their updates, and could also help Microsoft prioritize which of those features should come first.